Secularism is the principle of the separation of government institutions and persons mandated to represent the state from religious institutions and religious dignitaries. One manifestation of secularism is asserting the right to be free from religious rule and teachings, or, in a state declared to be neutral on matters of belief, from the imposition by government of religion or religious practices upon its people. Secularism in India means equal treatment of all religions by the state. Unlike the Western concept of secularism which envisions a separation of religion and state, the concept of secularism in India envisions acceptance of religious laws as binding on the state, and equal participation of state in different religions. 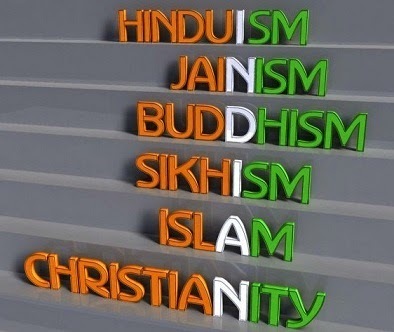 With the 42nd Amendment of the Constitution of India enacted in 1976, the Preamble to the Constitution asserted that India is a secular nation. However, neither India's constitution nor its laws define the relationship between religion and state.